Why I Don’t Care Who Owns Ironman. I don’t care who owns Ironman. Here’s why. Years ago I saw the race on TV. It was 1982. A woman stumbled to the finish and fell. A blonde man from California won. He was a lifeguard and drank smoothies. Another man from Brazil was the fastest swimmer. The day after the race he rescued a woman from drowning in the Pacific. I watched them on TV, in the race. Their faces. The clothes they were wearing. The bikes they rode. And I realized something; this is really cool. This is special. I grew up fat. So fat they put me in a special education phys ed. class in junior high. I was lucky enough to have a great teacher in that class. He taught me to believe in myself. He taught me to never give up. He taught me that with work come results. Later, in the Army, I learned he was right. I also learned that its what you do that counts, not what you wear or what you look like. Your actions define you. Not uniforms or special hats or patches or medals. Or tattoos or T-shirts or finisher medals. The only thing that matters is what you do. Not your tattoo, your medal, your T-shirt. Our sport has changed. People ask, “How little can I do and still reach the finish line?” They want the medal, the shirt, the tattoo. It’s important to them, and those icons help define them. That’s not wrong. It just is. But I don’t care. I don’t care who owns Ironman. It’s still long, hard, hot and difficult. Every mile has 5,280 feet. It isn’t shorter, easier, cheaper (that’s for sure) or somehow “less”. 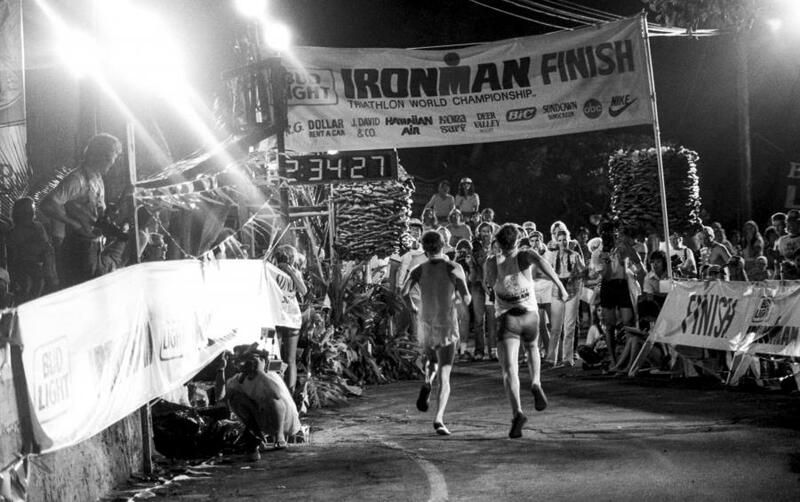 You can do an Ironman any day of the week. Swim 2.4 miles, ride 112 then run 26.2. When you’re done, you’ve done it. You finished. You don’t need a T-shirt, a medal, a tattoo. You do need courage, determination, confidence, endurance and strength. You can’t buy those things anywhere. No one else owns those. No one needs to see proof. Just you. Only you really own it.